How did you do? We want to see your answers! 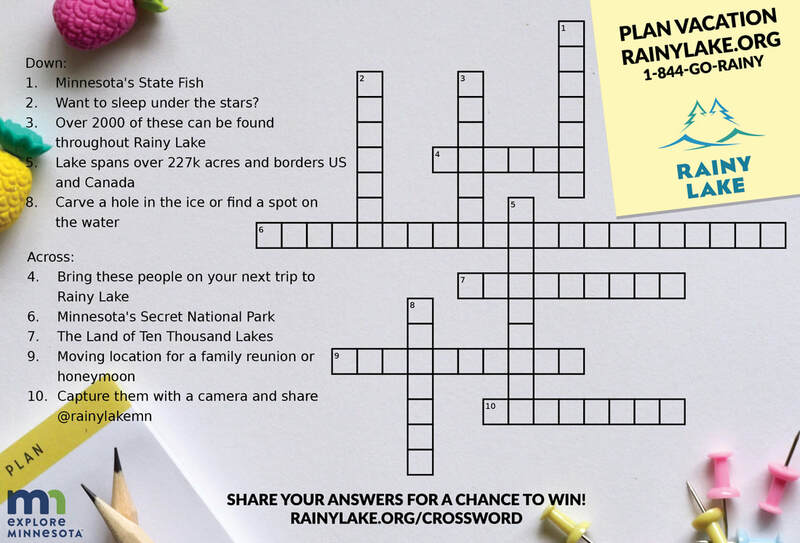 This Rainy Lake Crossword Puzzle was featured in the Explore Minnesota magazine. We hope you had fun filling in the answers. If you haven't visited the Rainy Lake area yet, we hope that our little puzzle piqued your interest! Prize has no cash value and is not transferable. Redeemable during summer tour boat season. Contestants must be a minimum of 18 years of age, must enter a mailing address, and must be subscribed to our newsletter at the time of the drawing. All arrangements are subject to availability.